Chennai, Capital of Tamil Nadu is a civilized and elegant city. It is a city that fuses modern and traditional values with ease. With fast paced developments taking place in the urban areas, it has become the hub for major industrial growth. This has attracted a huge influx of people to Chennai for various purposes, such as employment, business, education etc. 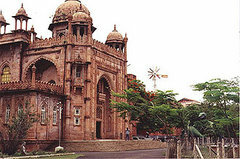 Chennai is one of the four metros in India and is considered a little more conservative of the four. It's a land of high rise MNC's and also huge dome filled temples. Music and Dance is another very integral part of the culture of Chennai. Carnatic music and Bharathnatiyam are some of the classical forms that have attained fan followings all over the world. In fact during December and January is the time of Margazli when Carnatic performnces will be happening in full swing and the venues are always jam packed. 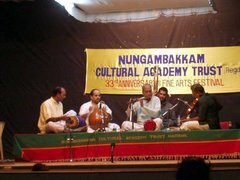 Chennai has an impressive list of Vidwans or musician experts who further help evolve the art forms of music and dance. Apart from this, Madras also preserves the traditional art forms of the past and still practices them in order to keep the traditions alive. This explains the spirit of Chennai, which by all means is a significant part of Indian Heritage. At the same time you have many college and stage shows that feature western music and dances. It might be rock, pop, heavy metal or fusion. There is a demand for all kinds of art forms, Bands from other places in India and around the world come and play here and they have always been welcomed by an excited and knowledgeable audience. Another interesting part of Chennai is its spirituality. You have many famous temples like Vadapalani Murugan Koil or the Kapaleeshwar Temple which are huge edifices and important landmarks in the city. Their architecture is something for your eyes to behold. The temples are swarmed with devotees during auspicious days and will prove to be a nice cultural experience for tourists. Food is another intriguing aspect of the city and gives you a lot of exciting options with many of Indian and world cuisines on offer. How ever you can also try some of the local south Indian cuisine. Dosa, idly, vada sambar and Chettinad cuisine are some of the specialties of Chennai. You should try the filter coffee which is a very famous strong flavoured freshly brewed coffee. Kollywood or Tamil Cinema is Chennai's famous film industry. Tamil cinema has produced many memorable films which have also been dubbed in many other languages all over India. Some of the famous names associated with kollywood are Rajnikanth, Kamal Hassan, Mani Rathnam, AR Rahman, MGR, Ilairaja, Shankar and many others.